With the end of 2015 fast approaching, it is not just Christmas that people will be planning for. For many, New Year’s Eve will be just as exciting, especially for those who want to spend the end of this year and the start of 2016 in a luxury hotel. Those doing so in London will be particularly well-served with a wide range of choices, which is just as well because everyone celebrates new year differently. For some, it is all about having a huge party, with lots of drinks, food, music, people, noise and some pyrotechnics when the fireworks go off. The Guoman Tower Hotel is located right next to Tower Bridge, with a magnificent view of the river at any time. And that means a fine view of the fireworks after midnight too. It is geared up perfectly for parties, which can be arranged for a group of friends or even a company. With plenty of space, loads of food and wine, plus a sensational location, all you need is plenty of people and some party spirit. While we all know people who like to keep going way into the early hours of the morning, the truth is some will want to crash out after 12. The good news is the Tower has plenty of rooms that are well away from the party venue, so if you want to spend the rest of the night away with the fairies and wake up refreshed on New year’s Day, that will be no problem. Of course, there are those who would rather spend new year quietly as a family. 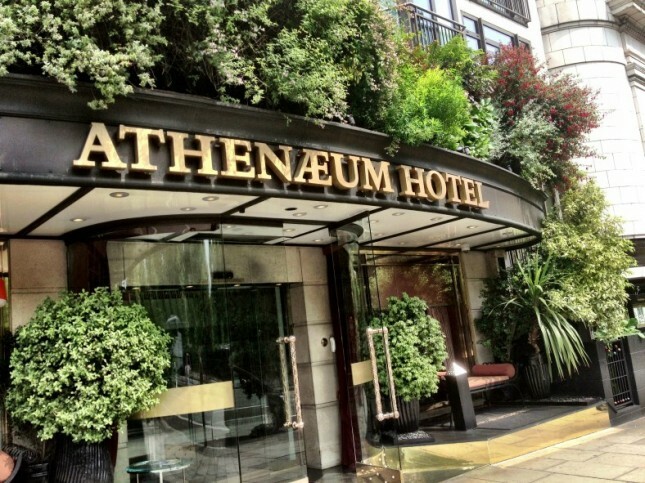 In this case the best hotel is the Athenaeum in Mayfair. There are many hotels that label themselves family friendly, but this one actually has it’s own kids’ concierge! There are nannies to help look after the little ones when mum and dad fancy a break to themselves, and there is a great choice of family rooms and apartments to ensure you get just what you need for a great stay.